Around this time of year, West Palm Beach gets a little spookier! 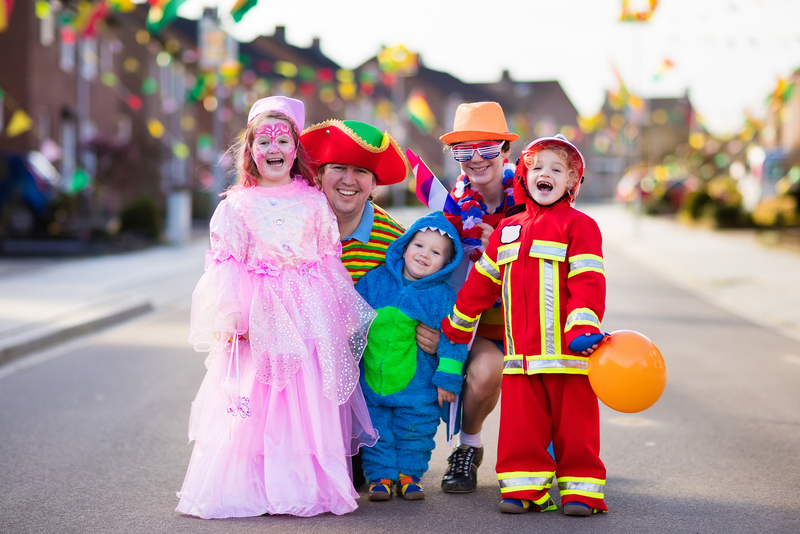 Witches, minions, super heroes and more crowd the streets looking for Halloween fun! Whether you’re looking to be chilled to the bones or some not-so-scary entertainment, West Palm Beach is the place to be this year for Halloween. Check out these West Palm Beach Halloween events below! Bring your kids to the Rhythm & Hues Halloween Party this year! This event will feature a costume contest, bobbing for apples, treats, ceramic Halloween painting, pizza and Charlie Brown Halloween! Spots are limited, so pre-register online! MoonFest is a traditional Halloween event celebrated along Clematis Street. The event will feature a costume contest, 3 block of terror, 2 live music stages, 1 haunted house, food trucks and art vendors! Boo at the Zoo is back for its 20th year at the West Palm Beach! This is a not-so-scary family fun event for all ages! This year, there is an important message of conservation behind the event. The candy handed out at the event is wildlife friendly candy from companies that follow sustainability practices. Back for the 18th consecutive year, the family favorite event, Spookyville, will be hosted at the West Palm Beach Fairgrounds! Spookyville will have trick-or-treating, kiddie rides, scarecrow making, a costume contest, kiddie rides and arts and crafts. Halloween at the Addison is a unique event which benefits Slow Burn Theatre Company at the Broward Center for the Performing Arts. The theme of the event compliments the historic venue by paying homage to classic horror icons from the 1930’s. There will be a haunted walk through with themed rooms, live music, DJs, celebrity entertainment and delicious food! The Halloween season is a lot of fun, but unfortunately it doesn’t last forever! Soon enough it will be time to store those spooky skeletons, Halloween costumes and festive fall décor. When you have a storage unit rental, you’re able to decorate for the seasons to your heart’s desire without crowding your home. A seasonal storage unit allows you to transition from season to season with ease. Did you know that Lighthouse Self Storage has storage facilities in the West Palm Beach, Fort Lauderdale and Homestead, FL area? Consider renting a 5×5 storage unit for storing costumes and smaller decorations, or a 5×10 storage unit for large yard decor! Reserve a storage unit today!